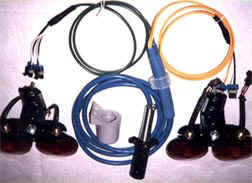 K & R Distributing, Inc.
Waterproof Main Harness in Blue or Black Color. 2-4 1/4" Red Taillight Lamps with Mounting Brackets. 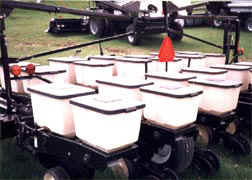 Works with your existing 7-pin tractor's lighting system. 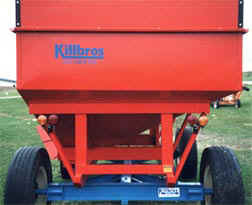 Kit available with a rear plug to hookup a second wagon or implement. All connections are weather-sealed by simple plug in terminals. does not replace the SMV (Slow-Moving Vehicle) Identification Emblem. All self-propelled & towed agricultural vehicles must have SMV Emblems.